You are a member of a big team? Please contact us, if you would like to use mysimpleshow with an individually adjusted team size and need access to exclusive simpleshow services. We will make you an offer you cannot refuse. 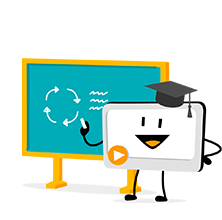 Your educational institution wants to create great videos for school or university?